The above recording is Richie Havens on the Voice of America. He performed the song, Freedom, while explaining the cultural significance of Woodstock and his own performance there. And their flavor breaks upon my tongue. And fill our lungs with seas of life. Come taste and smell the waters of our time. Let your flower perfume out and let the winds caress you. Then don’t mind me ‘cos I ain’t nothin’ but a dream. Richie Havens was a lighthouse for the sixties’ rough seas. After a February meeting in 1969, Woodstock Ventures, the quartet of John Roberts, Joel Rosenman, Artie Kornfeld, and Michael Lang, frolicked, staggered, and romanticized its way to August 15, 1969. 500,000 cultural refugees arrived in Bethel, NY with bated breath and found a place to harmoniously exhale. The Woodstock Music and Art Fair was a tumultuously peaceful gathering, an acoustic jewel set athwart the 1960’s cultural maelstrom. The decade embroiled, alienated, and divided American families, friends, and neighbors. It was the decade of the Cold War and nuclear proliferation, murderous violence against an expanding civil rights movement, scores of race riots, thousands of casualties in an escalating Viet Nam War, draft card burnings, anti-war demonstrations, patriotic exhibitions, protest music, student radicalization, assassinations, war atrocities, the Stonewall riots, a burgeoning drug culture, a growing ecological sensibility, a generally anti-establishment attitude by many young people, and the founding of the Black Panther Party, the National Organization for Women, the American Indian Movement, and the National Farm Workers Association. Only months away were Altamont, the Mayday Tribe’s attempt to shut down Washington DC, the invasion of Cambodia, six students shot and killed at Kent State and Jackson State, the takeover of Alcatraz, the Weatherman bombings, 200,000 Post Office workers striking, and the Beatle break-up were. The Grateful Dead would play 143 more shows within the year; 1,891 before Jerry Garcia’s death in 1995. 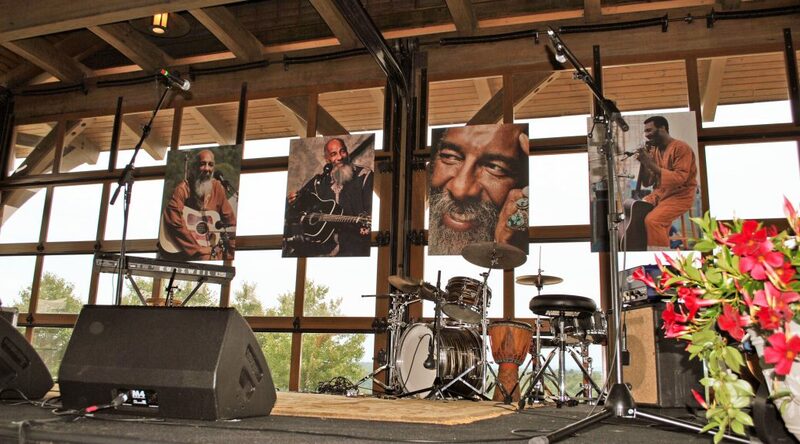 Richie Havens was the accidental opening act, but became the exposition’s keystone in its arch of apprehensions, anticipations, and hallucinations. He continued to be more than one generation’s underpinning for 44 years. 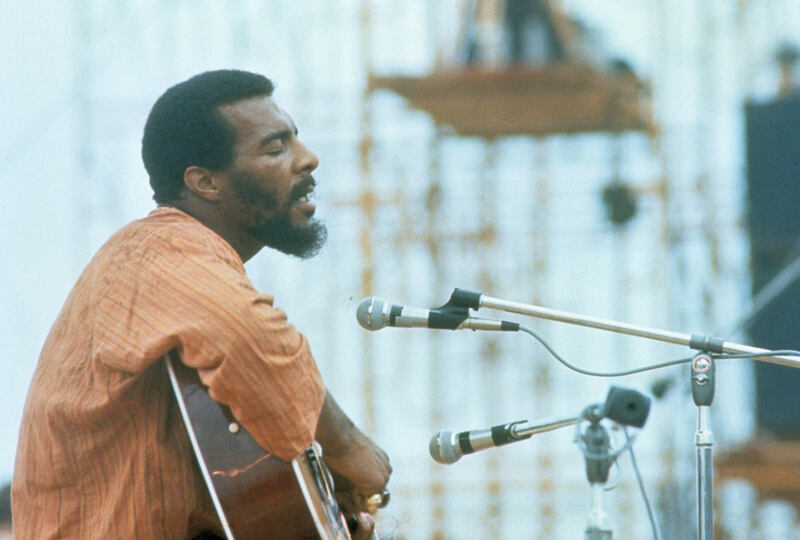 After a half century of loving performances and a life dedicated to seeking peaceful solutions, Richie Havens died on April 22, 2013 at age 72. As we both walk and we laugh. born in Bedford-Stuyvesant, Brooklyn on January 21, 1941.
at 14 he joined the McCrea Gospel Singers. in his late teens migrated to Greenwich Village, where he wandered the clubs working as a portrait artist. in his early 20s he discovered folk music and he was soon playing several engagements a night at clubs like Why Not? and the Fat Black Pussycat. developed an unorthodox guitar tuning so he could play chord patterns not possible with conventional tunings. In the mid-1970s he founded the Northwind Undersea Institute, an oceanographic children’s museum on City Island in the Bronx. He later created the Natural Guard, an environmental organization for children, to use hands-on methods to teach about the environment. His music had a new burst of popularity in the 1980s, and he found success as a jingle writer and performer for Amtrak, Maxwell House Coffee and the cotton industry (“The fabric of our lives”). He acted in a few movies, including “Hearts of Fire” (1987), which starred Bob Dylan.